Images: Kanzeon Bosatsu Zazo Bodhisattva from the Kannonji temple, Photo Nagasaki prefectural board of education. A South Korean court was asked to resolve a long-running dispute over the ownership of a 14th century Buddhist statue stolen from a Japanese temple in 2012. This month, the local Daejon District Court ordered the statue to be given to a Korean temple instead, causing a furor once again in Japan and damaging the often prickly diplomatic relationship between the two countries. 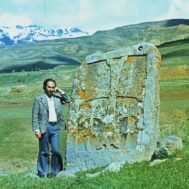 The case is complex and, as the statue was in the Kannonji temple in Japan for 600 years, there is no concrete evidence for Korean claims that the statue had been stolen centuries before. Since the thieves were caught, in 2013, the ownership dispute has rankled opposing religious institutions in Korea and Japan. 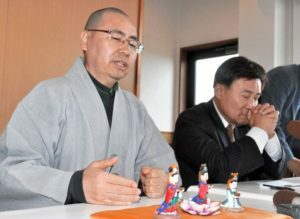 In 2013, monks from the Korean Buseoksa Temple had demanded the statue attempted to visit the Tsushima temple in Japan, bringing with them three miniature plastic female figures sold as the temple’s “mascots” and a newly made bronze statue as a symbol of renewed friendship. Monks of the Kannonji temple refused to meet with them. Korea’s Buseoksa temple in Seosan finally won custody of the statue this month through the local court’s order, despite a Korean commission finding that there was no real evidence that the statue came to Japan through the actions of “wako” pirates, as the Korean temple claims. Even the 2012 theft from Japan may be related to South Korean resentments, although claiming to be returning patrimonial objects may have been just a handy excuse for the thieves. The 2012 theft was of two statues from Tsushima Island, which lies in the straits between the Japanese mainland and the Korean Peninsula. A bronze standing statue of Tathagata Buddha was taken from the Kaijinjinja shrine, where it had been designated an important cultural property by the Japanese government. No Korean institution claimed the Tathagata Buddha, and it was returned to Kaijinjinja shrine in July 2015. 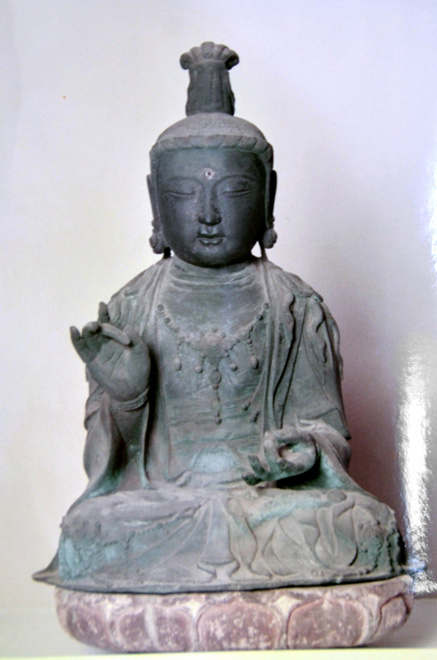 The other stolen statue, of the Kanzeon Bosatsu Zazo Bodhisattva from the Kannonji temple, had long been designated a tangible cultural property by Nagasaki Prefecture under Japan’s Law of Cultural Properties. When the Korean government announced that it had caught the thieves and seized the statues in 2013, the Japanese government expected its return, but the Korean Buseoksa temple immediately requested an injunction to prevent it going back to Japan. The temple claimed that writing found inside the statue saying that it was made at Buseoksa in 1330 proved that it had been stolen. In 2014, the Korean government commissioned experts to determine what evidence there was for the alleged theft 600 years ago. They concluded that although there was a possibility that the statue was looted by pirates, it was only shown that it went to Japan by “a process that was not ordinary.” However, Buseoksa Temple then filed suit against the Korean government, demanding that the statue be taken from government storage and given to the temple. 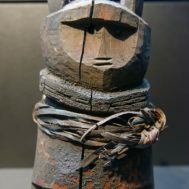 The temple’s chief priest, Woonou, said in July 2016 that he believed that documentation of five raids in the Seosan region by Japanese “wako” pirates between 1352 and 1381 are sufficient circumstantial evidence for the statue having been stolen 600 years ago. Responding to the Korean court decision to give the statue to Buseoksa Temple, Japan’s Chief Cabinet Secretary Yoshihide Suga stated that, “the ruling is extremely regrettable,” adding that the Japanese government would ask for the statues expedient return. 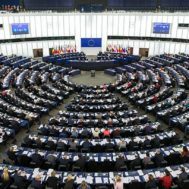 International response came from Thailand’s The Nation, urging that the Korean government take the reasonable step of denying the court and returning the statue to Japan. The Nation’s editorial noted that longstanding resentments between Japan and Korea over cultural assets only began to be addressed under a 1965 agreement to normalize bilateral relations. Japan has since returned many Korean books and artifacts and concluded agreements on claims arising from Japan’s colonial rule of Korea. According to the Nation, goodwill actions by Japan in 2010 returning important Uigwe texts of the Joseon Dynasty may have simply encouraged Koreans to demand more.